Chili for When the Chill is Back! On a cold, freezing day, a big pot of our gluten-free Chili always hits the spot! According to the calendar, it is Spring. According to my body this morning, winter was back – brrrr! Watching the news I see winter is coming back all across the country. Bonus for us, we will go into the freezing zone again tonight with the possibility of freezing drizzle and slick roads for the morning commute. Ugh! As we are all so eager to pull out the shorts, and really put away the winter coats and mittens (I just pulled the gloves back out again), old man winter is definitely back again. This is such a Fall recipe to me – usually pulling it out on those first chilly Fall evenings. It’s simply comforting and soothing as we enjoy the first coolness of the season. As I was wondering what to put on the table for tonight’s dinner, feeling the air and knowing the cold will be hitting stronger as the day goes on, dinner will be chili for sure! 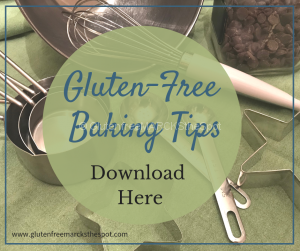 Of course, it will definitely be gluten-free, dairy-free and corn-free! I first learned how to make chili when I was in my 20s from my dear friend Cheri. (Thanks Cher!) Once she showed me how quick and easy it was – I ran with it. I have added wonderful different peppers for an extra spice, or added in other ingredients such as different types of beans, chicken, or veggies. 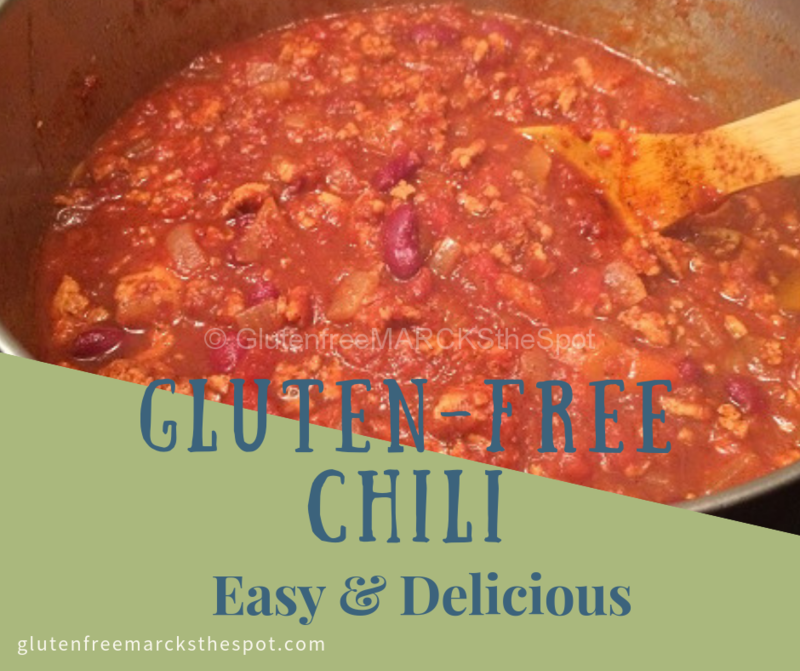 I love playing around with our gluten-free chili recipe to mix it up. We’ve even made Pumpkin Chili, which I loved (my children not so much!). Your standard pot of chili is just too good to pass up on a cool evening with your family. The best part of cooking chili during the day is after you pick everyone up from all the daily activities, and walk back into the house – BOOM – you are smacked with that wonderful, spicy, decadent smell you cannot wait to devour. Try out a bowl of chili on one of your chilly, cold evenings – and feel the warmth spread through you! 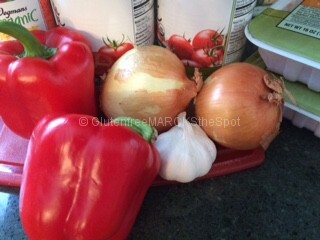 To make the chili, dice up the onions, peppers and garlic. Saute the onions and peppers over medium heat in a large soup pan. Allow to cook to soften up for a few minutes. You can mix it up and use any color peppers you like. Add in the ground turkey and saute until cooked through. Stir together well. 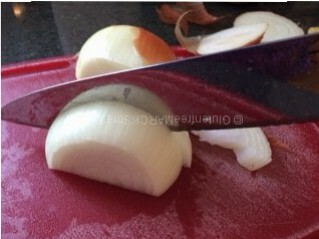 Add in the garlic and cook for about 2 minutes. Add the tomatoes and chili powders and mix well. Allow to come to a boil. Turn the heat down to low and simmer for about an hour. I have cooked this from 30 minutes to 4 hours. The longer this cooks, the better the flavors come together. It really just matters how much time you have! Make sure to stir the pot every so often. After an hour, add in the beans and let simmer another 30 minutes to allow to soak up the flavors. 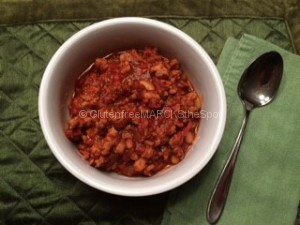 Chili is the perfect dinner for a cold, winter night! It's comforting and delicious! Dice up the onions, peppers and garlic. 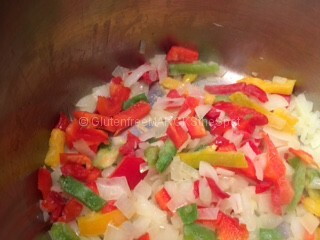 Sauté the onions and peppers over medium heat in a large soup pan, for about 5 minutes. Add in the ground turkey and sauté until cooked through. Stir together well. Add in the garlic and cook for about 2 minutes. Add the tomatoes and chili powders, mix well. Allow to come to a boil. Turn the heat down to low and simmer for about one hour. 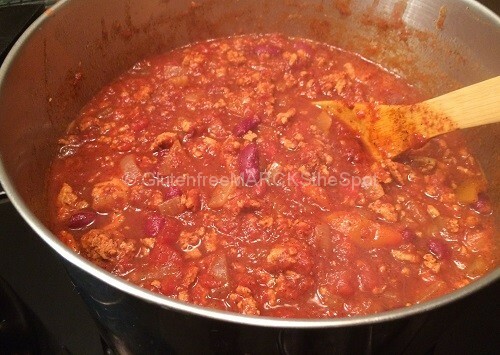 You can continue to simmer this chili for 30 minutes to 4 hours. The longer this cooks, the better the flavors come together. Make sure to stir the pot every so often. Enjoy your chili topped with avocado, cheese, sour cream (if you eat dairy), or sprinkled with chopped parsley or cilantro. 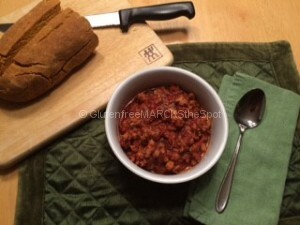 Serve our gluten-free chili over rice, quinoa, mac-n-cheese (homemade of course), or your favorite sauteed greens. Once cooled, freeze the leftovers and you have dinner for another busy night. You can soak the beans overnight, or boil them for about 20 minutes, before adding them into the pot, which helps with digestion. Double the recipe and freeze one batch for a quick and easy dinner on a busy night. you’ll want to use a large pot and double the recipe. Once cooled, freeze the leftovers and you have dinner for another busy night. Easy and simple for another night of yum! or sprinkled with chopped parsley or cilantro. or your favorite sautéed greens. Of course, it is delicious on its own! Anyway you have it, enjoy! 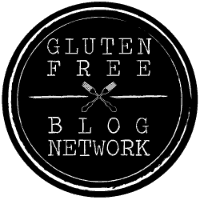 Don’t miss out on any new recipes or gluten-free tips! to get all the great information directly to your in-box! 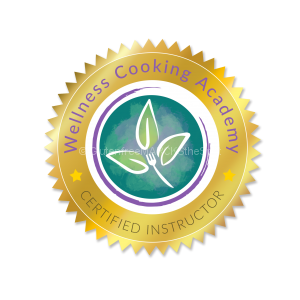 Sign up today and get 5 FREE recipes! This entry was posted in Gluten Free Living, Recipes and tagged easy and delicious gluten-free, gluten-free chili. Bookmark the permalink. Thanx for the suggestion and recipe, Jennifer. It's cold in SC, too, so it will be Turkey Chili for us tonight! Great article and enjoyed the recipes. Thanks.